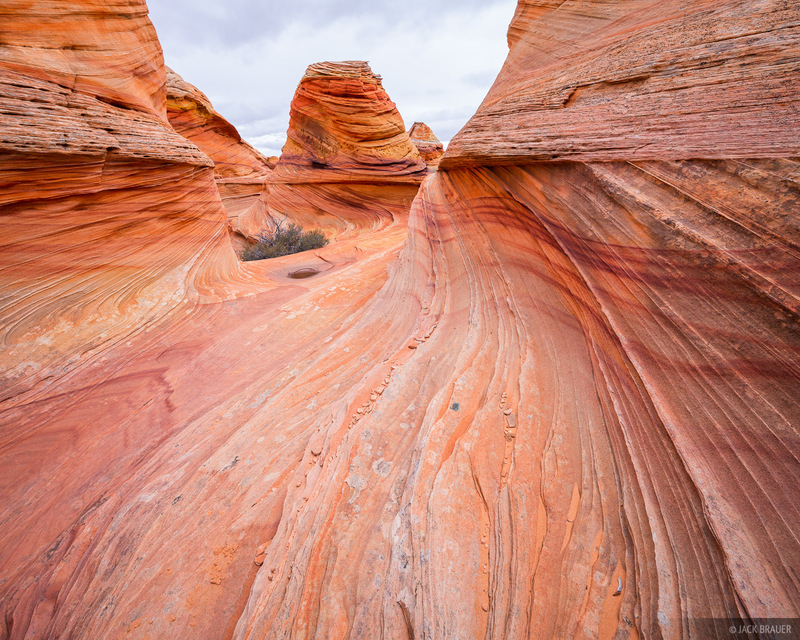 After our trek through nearby Buckskin Gulch and Paria Canyon, we made the long, sandy drive to Coyote Buttes South (also within the Paria Canyon-Vermilion Cliffs Wilderness) which we had permits to explore for a couple days. I honestly didn't have much expectations for this place, but figured we might as well go check it out since we were already in the general area. 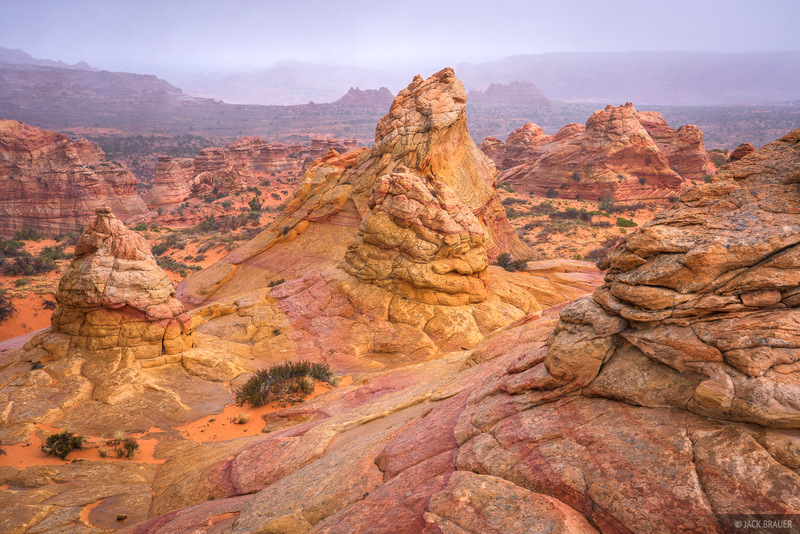 Well, it's safe to say my mind was blown once we hiked into the buttes! 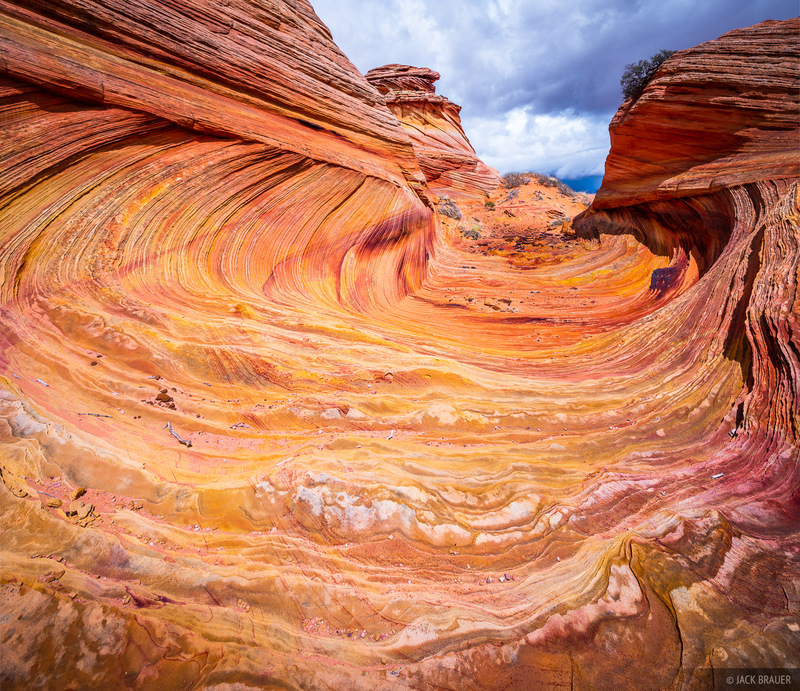 I've never seen such a sandstone fantasy land, with its psychedelic formations and swirling sandstone, all infused and painted with a spectrum of bright colors. 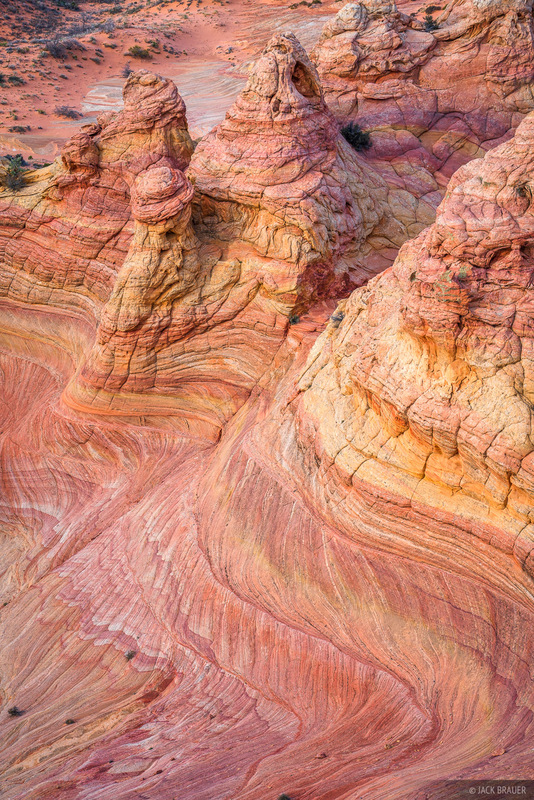 This is nature at its most artistic, the exquisite result of eons of random geology. 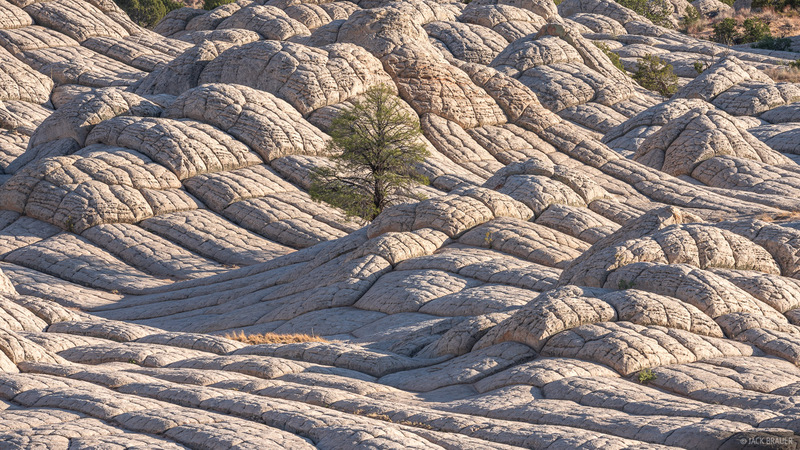 For a good portion of two days I wandered around the many nooks and crannies of this surreal landscape while totally awestruck by the outrageous beauty and artistry of our Earth. 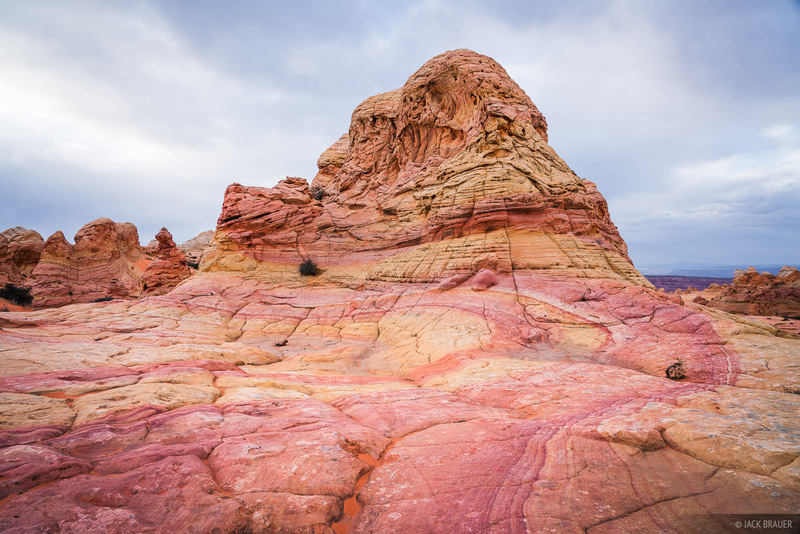 With pure eye candy around every corner, of course this place is a photographer's dream - I had a tough time narrowing down my nearly thousand photos to this collection of favorites here! 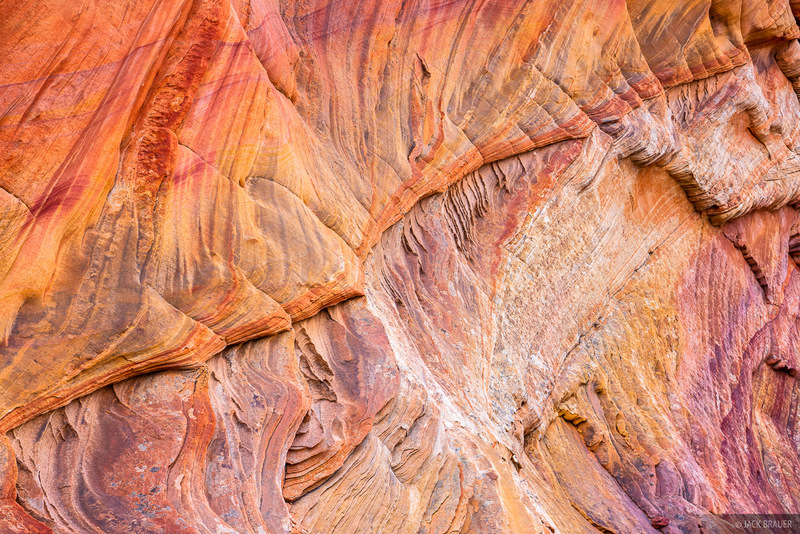 The cloudy weather really helped to bring out the color in the sandstone. While these photos are mostly faithful to the real life colors, I did pump up the colors quite a bit on this abstract photo above. In case you're wondering. 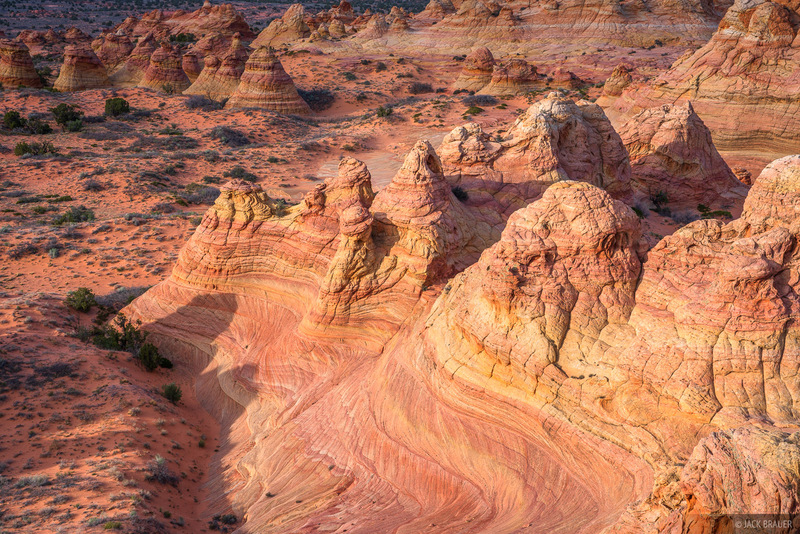 If it all looks unreal, perhaps you've got to see it to believe it! See those dark clouds in the photo above? Shortly after shooting this, it thundered startlingly close by; Claudia helped me pack up my camera gear as quickly as possible, then we ran downhill into a valley between two large teepee formations and crouched down with our rain jackets on while hail and thunder pounded all around us! 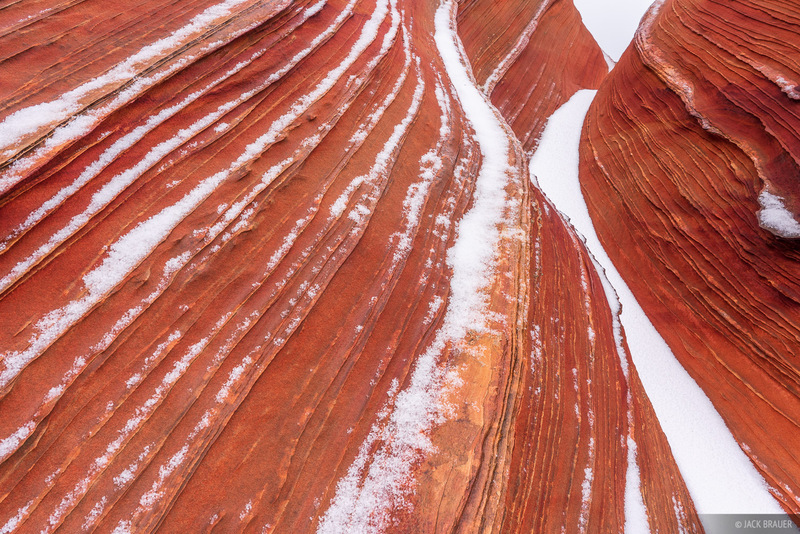 After about 15 minutes the storm moved on, leaving the sandstone covered in a layer of hail looking like winter. We hightailed out of there before the next dark cloud came through! 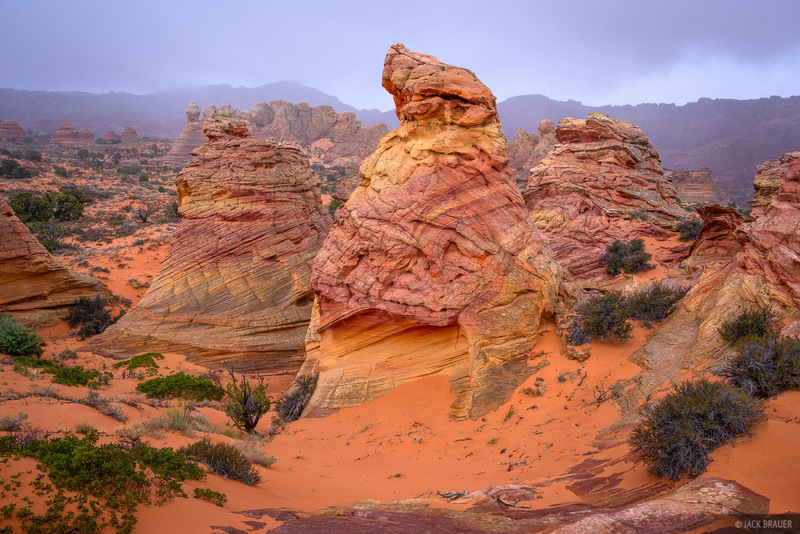 After two nights of camping near Coyote Buttes South, we plowed on through a deep sand road to get to White Pocket, another nearby area of fantastic otherworldly slickrock. 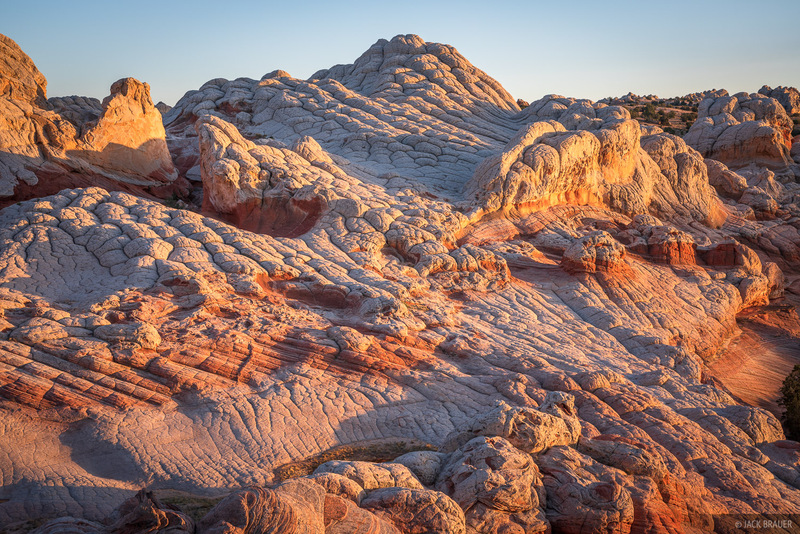 Unlike Coyote Buttes which is limited to 20 permitted visitors per day, White Pocket is open to all comers. 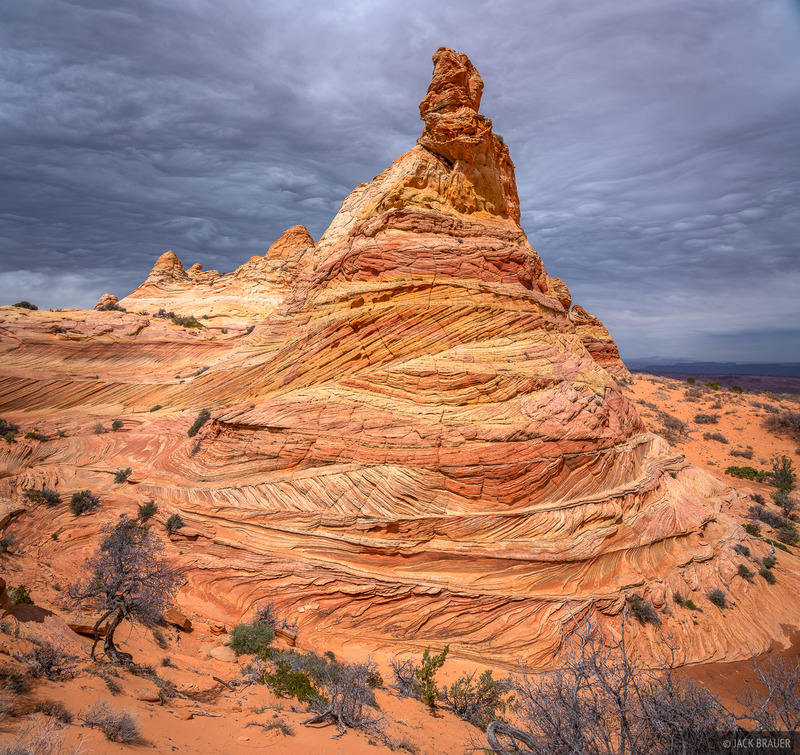 This situation definitely makes sense to me - Coyote Buttes is full of delicate sandstone fins that easily crumble underfoot, so it's a good thing that hordes of people aren't swarming all over it every day. It's also quite nice to be able to explore that magical place in relative solitude. 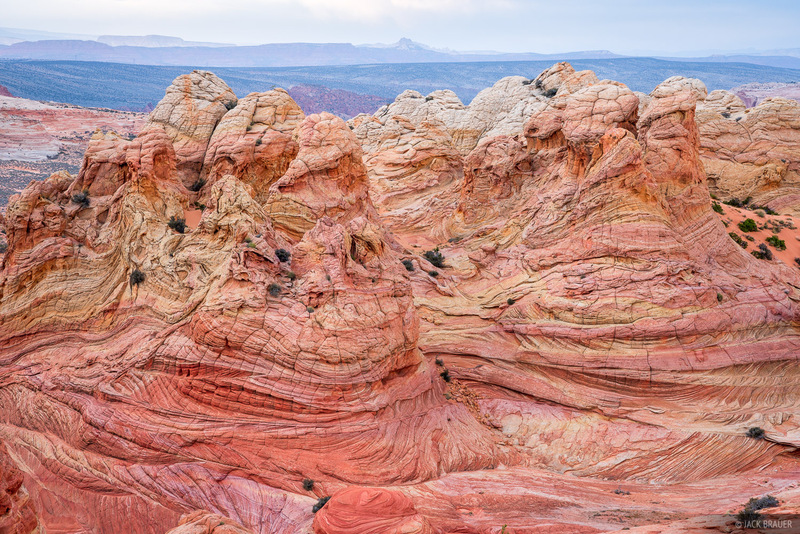 On the other hand, White Pocket consists of much tougher sandstone that can be crawled all over without concern so therefore can support lots of visitors. 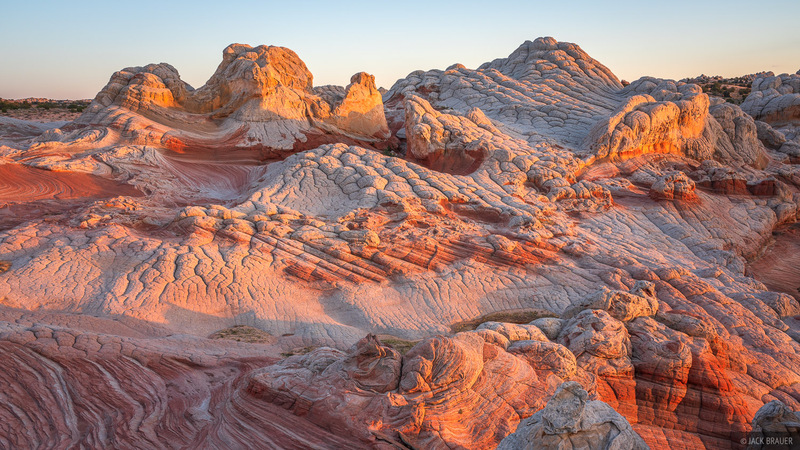 The drawback of White Pocket's popularity with photographers, however, is that I've already seen so many photo compositions from there, such as the one above which is basically a copy of the same composition I've seen a bazillion times. 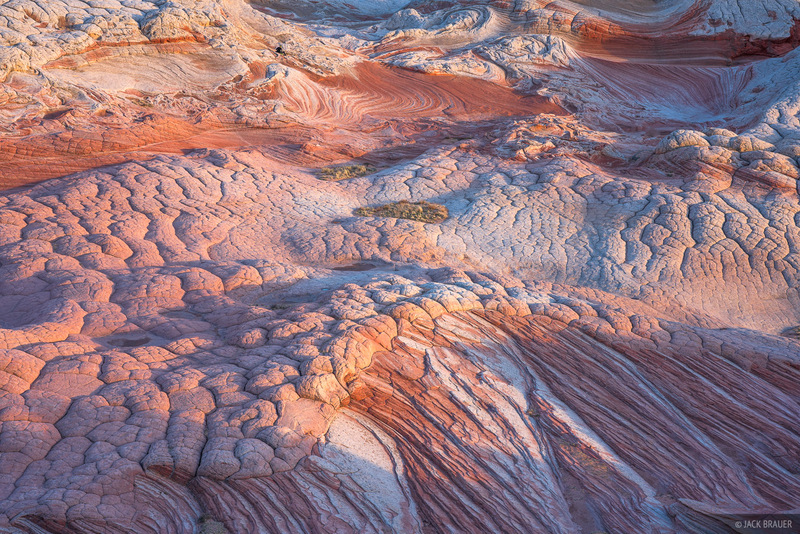 So I didn't take nearly as many photos here, but nevertheless it was still fun to scramble around and explore all the crazy formations. 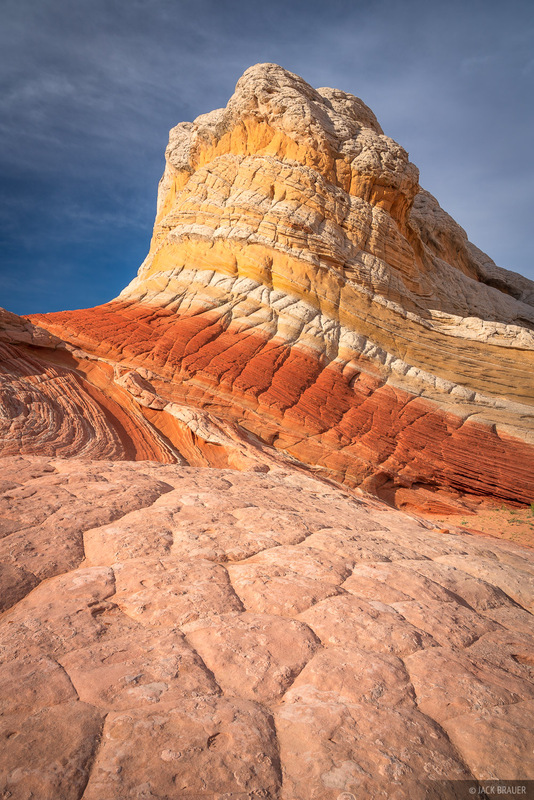 The "candylands" of Coyote Buttes and White Pocket were the perfect grand finale of our two weeks of hiking and photographing in the canyons and desert of Utah and Arizona! These are special places indeed. Posted in Canyons & Deserts and tagged Arizona.